DIMITRI LASCARIS: This is Dmitri Lascaris reporting for the Real News from Montreal, Canada. Since former Oklahoma Attorney General Scott Pruitt was appointed by President Donald Trump to be head of the U.S. Environmental Protection Agency, a great deal has been written, and rightly so, about the EPA’s regulatory failures and Scott Pruitt’s conflicts of interest. Some of the criticism directed at Scott Pruitt’s EPA seems, however, to presuppose that before the appointment of Pruitt, the EPA was a vigorous enforcer of America’s environmental laws. But a trove of documents published in late 2017 known as the Poison Papers demonstrate that the EPA failed to fulfill its mandate long before Donald Trump was elected. The poison papers were analyzed and published by the Center for Media and Democracy and Dr. Jonathan Latham. 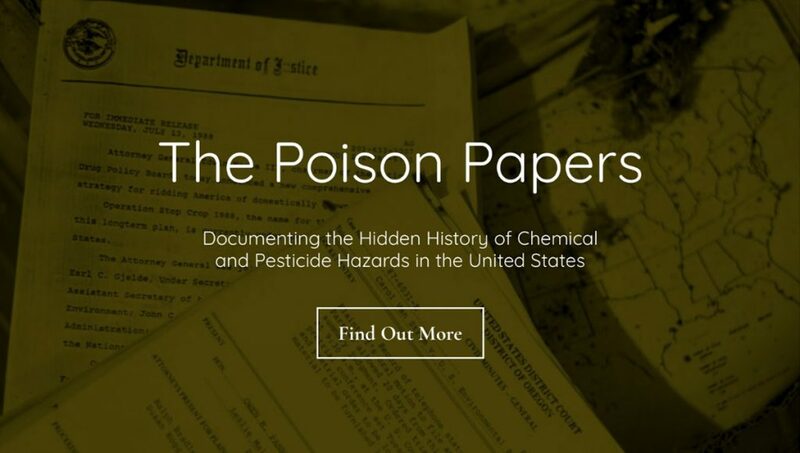 They are a compilation of over 20000 documents obtained from federal agencies and chemical manufacturers via open records requests and public interest litigation. They include internal scientific studies and summaries of studies, internal memos and reports, meeting minutes, strategic discussions, and sworn testimonies. Now here to discuss the Poison Papers with the Real News is Dr. Jonathan Latham. He is the co-founder and executive director of the Bioscience Resource Project, and editor of the Independent Science News website. He holds a master’s degree in crop genetics and a Ph.D. in virology, and he joins us today from Ithaca, New York. Thank you for joining us on the Real News, Dr. Latham. 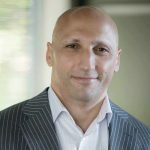 DIMITRI LASCARIS: So let’s begin with the big picture. In broad terms, in your view, what has been revealed about the EPA’s fulfillment of its regulatory mandate during the years preceding the Trump administration? JONATHAN LATHAM: Well, these documents, they date back to the 1950s for the most part, and what they show is, you know, from the moment, you know, they pre-date the EPA. What they show is that, either actively or implicitly, that regulatory agencies, but most especially the EPA, have been colluding with the manufacturers and the organizations that they’re supposed to regulate in all kinds of different ways. So this is for approvals of new products, this is for the enforcement of all products, this is for the suppression of data, showing evidence of harm. Denying the public the information that they need to protect themselves, an opportunity to find out more about products, for example. So there’s a whole host of different ways in which this collusion is taking place. DIMITRI LASCARIS: The chemicals most often discussed in the documents include herbicides and pesticides, dioxins, and PCBs. I’d like to talk to you about dioxins in particular, but before we do that could you talk to us about the toxicity of these substances and the extent to which their use continues today? JONATHAN LATHAM: Dioxins are arguably the most toxic substances ever discovered. So they can derail the development of organisms at concentrations like three parts per trillion, which is astoundingly low concentrations. And they are pretty much ubiquitous nowadays in our environment, and they’re basically almost non-biodegradable. So, and they are byproducts. The way they enter the environment is that they’re not made on purpose. They’re byproducts of the production of chlorinated hydrocarbons. So certain pesticides have structures that are quite close to to those of dioxins, and those, what that means is that the chemical reactions that are producing those pesticides and those industrial chemicals are also producing dioxins, because the chemical reaction process is a stochastic one. So you’re not under control, as a manufacturer, fully under control of the end products of that, of those processes. So you have these astoundingly toxic chemicals that are produced in the process, and essentially are extremely difficult to remove or to biodegrade. DIMITRI LASCARIS: So the poison papers reveal an alarming level of secrecy, deception, and collusion between the EPA and major corporations to suppress the truth about the prevalence and toxicity of dioxins. Could you talk to us about some of the major scandals that you uncovered in your review of the Poison Papers, in that particular regard? JONATHAN LATHAM: With respect to dioxin what’s interesting, for example, is that they document discussions between companies about the concentrations of doxins that may have their own products. They demonstrate that companies knew long before the EPA that there were incredibly dangerous contaminants in their products. They also demonstrate that when this became evident to the EPA, what the EPA did instead of attempting to make the companies clean up their act, instead of keeping records of what was produced by these companies and urging them to stop producing it, what the EPA did was attempt to cover up the production of dioxins. So the EPA set up a secret committee which they attempted to shield from Freedom of Information Act requests, that the purpose of that committee was basically to collect together all the evidence of the harms of dioxins, but also to prevent that information from becoming publicly available. Because at the end of the day, what you have is a chemical process. You know, you have the chemical industry that widely uses chlorinated hydrocarbons. They pretty much inevitably produce dioxins. And so the EPA, instead of basically, you know, they had choices, right. They could try to transition the chemical industry away from the use of chlorinated hydrocarbons, but they basically took the production of dioxins as a given and attempted to cover up the toxicity of those compounds. Which they knew, you know, they compare dioxins to the toxicity of plutonium. You know, which is basically something which there’s no safe dose, and is basically non-biodegradable. DIMITRI LASCARIS: Our Canadian audience will be particularly interested to know, I would think, that the Poison Papers suggested the Canadian counterpart of the EPA, the Health Protection Branch, colluded with pesticide manufacturers to keep invalidly registered products on the market, and covered up problems with many of the safety tests performed on these products. Could you talk to us about what the Poison Papers reveal about the collusion of the Health Protection Branch in Canada? JONATHAN LATHAM: Yes. So you know, this goes into something that is also very important in these papers, which is that, you know, we have a system where, that is involved in such a way that chemical manufacturers do not normally do the health and safety testing of their own products. They farm them out to normally independent laboratories, who are in fact quite big companies, and who are, in fact, often owned by chemical companies. But this is, this is basically a system that creates an illusion of independence. And this independence is an illusion in the sense that a chemical company is repeatedly going to go back to these independent testing laboratories. And these independent laboratories know this. And so the chemical companies basically can pick and choose between these independent testing companies, and even in cases where there are honest ones, those basically, those honest ones, are likely to go out of business. The EPA in many cases has known that that the reports submitted to them by these independent testing labs are fraudulent. And in the papers this comes out quite often in discussions of the EPA. But also there was a big blow up in the late 1970s and early 1980s when a company called Industrial Bio-Test Labs was basically discovered by the FDA to be submitting fraudulent tests. And essentially, FDA passed the baton to the EPA, including Canada’s Health Protection Branch, to do something about this. And the solution they came up with was basically to cover it up as much as they could. So it was already public understanding, so they could only cover it up to a certain extent, because it went to court, because the Justice Department became involved, because executives of Industrial Bio-Test ended up going to prison. There were limits to how much they could cover it up. They organized a meeting of the chemical manufacturers, of IBT of the EPA and Health Protection Branch, basically to work out how to buy companies time so that they could then do, do their tests again, and essentially keep their products on the market. And this is thousands of tests of well-known products. Glyphosate, atrazine, many, many other commonly used household products or pesticides. So is this testing disaster was basically affecting the whole system, but it really, it only intermittently and irregularly made the news. But the main, the main reason being that instead of cleaning out the system and basically, for example, transitioning to a system in which the EPA did the test or some, some government agency did the test, they basically decide to paper over the cracks and allow what was basically an unstable and reasonable set of ways of doing chemical testing, basically to allow that process to continue, so that essentialy the public would not be allowed, we’d have no idea which tests were fraudulent, actually. DIMITRI LASCARIS: Well, this is, we’ve been speaking to Dr. Jonathan Latham about a trove of documents published late in 2017 known as the Poison Papers, reveal quite alarming information about the failure of the EPA to fulfill its regulatory mandate of enforcing U.S. environmental laws. Thank you very much for joining us today, Dr. Latham. DIMITRI LASCARIS: And this has been Dimitri Lascaris reporting from Montreal, Canada for the Real News.